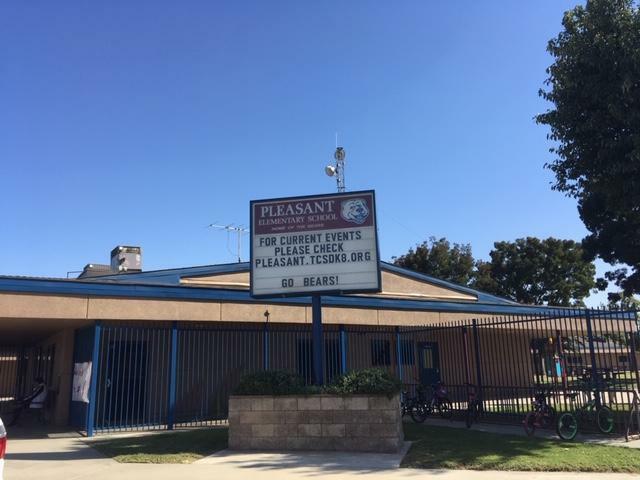 Pleasant is one of ten elementary schools in the Tulare City School District. Since we opened our doors in 1987, we have continued our commitment to build a learning community comprised of highly effective staff, strong leadership, engaged students, and active parents and families. We all share in the responsibility to ensure that all of our students develop positive character and demonstrate academic growth and success each and every year. Motto: Bears C.L.I.M.B. with Character!